The Forum was held as an official affiliate event of the 2018 Global Climate Action Summit to discuss the merits of various U.S. based (federal and state) carbon tax proposals (revenue neutral and revenue positive) now being considered, better define the principles that underlie these proposals and build greater political support. With the risks of climate change mounting, the need for comprehensive action to cut carbon pollution in the United States is urgent. An economy-wide carbon tax will send a clear market signal and account for the externalities and risks that fossil fuels pose to our economy. A carbon tax will also reduce business uncertainty and create new investment opportunities in clean energy and green infrastructure and possibly lead to a simpler regulatory system. Such a tax needs be designed in a way that accounts for economic and equity concerns and supports a just transition for communities disproportionately impacted by pollution. As with any tax, behaviors are bound to change. Research has shown that a carbon tax is the most efficient and effective way to reduce greenhouse gas emissions. 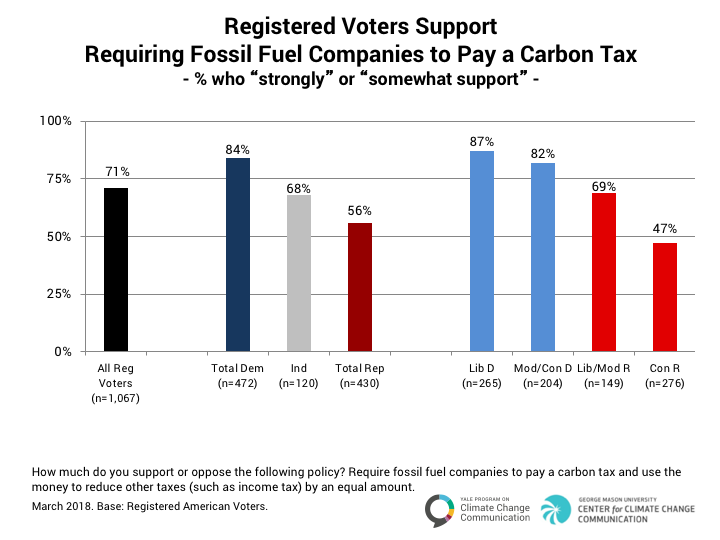 And, while there are key differences about how to spend the revenue generated, how to ensure that American exporters and low income and fossil fuel dependent communities are not hurt, and at what level to set the price, many conservatives and progressives agree a carbon tax addresses the market’s failure to account for the true costs of carbon pollution. The panel explores the key policy design elements of a carbon tax. Carbon pricing is already becoming deeply embedded in business strategy. A growing number of companies have begun to advocate for a national carbon tax. The panel explores why companies are adopting internal carbon pricing systems and their increasing willingness to talk about the economic risks posed by climate change. The path forward at the federal level remains challenging. While several pieces of carbon tax legislation have been introduced in Congress over the past two years, progress has been slow. Yet, a recent bill from Republican Congressman Curbelo, endorsed by several House R and D colleagues, may signal a shift. This bill follows upon a Senate proposal from Senator’s Schatz (D-HI) and Whitehouse (D-RI). The panel explores the current political climate in Washington, D.C for carbon tax proposals. Over a dozen states are actively considering adopting some form of a carbon tax. While the specifics vary (e.g., where to set the price and how to adjust it over time; how the revenues will be used; how low-income residents will be protected and; how to address concerns over cross border competitiveness with states that do not have a tax), there is clear momentum at the sub-national level. Enacting a tax on carbon will take a broad coalition of interests. The business community has a critical role to play, as do millennials. Success will most likely necessitate not having the "perfect be the enemy of the good." This panel offers insights into theories of change, the importance of business making its voice heard, successful organizing approaches by student groups, and opportunities for collaboration. MIKE BARRETT is a State Senator for nine Massachusetts communities. He serves as Senate Chair of the Legislature’s Committee on Telecommunications, Utilities and Energy, whose jurisdiction covers everything from cell phones to alternative energy to public utility reform to carbon pricing. He previously served as Chair of the Senate Post-Audit and Oversight Committee, a unique body charged with overseeing implementation of all state programs run by the Governor and his appointees. Previously, Mike made his living in health care and information technology. CHRIS BENJAMIN is the Director of Corporate Sustainability at Pacific Gas and Electric Company (PG&E)and leads a team responsible for PG&E’s sustainability efforts and engagement, including working to integrate and align PG&E’s sustainability strategy with its business strategy. This includes working collaboratively to measure, communicate, and elevate PG&E’s sustainability commitment. His team is responsible for a variety of sustainability reporting, benchmarking, and strategic policy initiatives, including working to build climate resilience. His team actively engages with a broad range of stakeholders, including PG&E’s external Sustainability Advisory Council, to guide and strengthen PG&E’s sustainability strategy. Prior to joining PG&E, Chris was a Vice President at Eastern Research Group and a Policy Associate for the National Recycling Coalition. He received a Masters of Environmental Management from Duke University and a B.A. from Boston College. 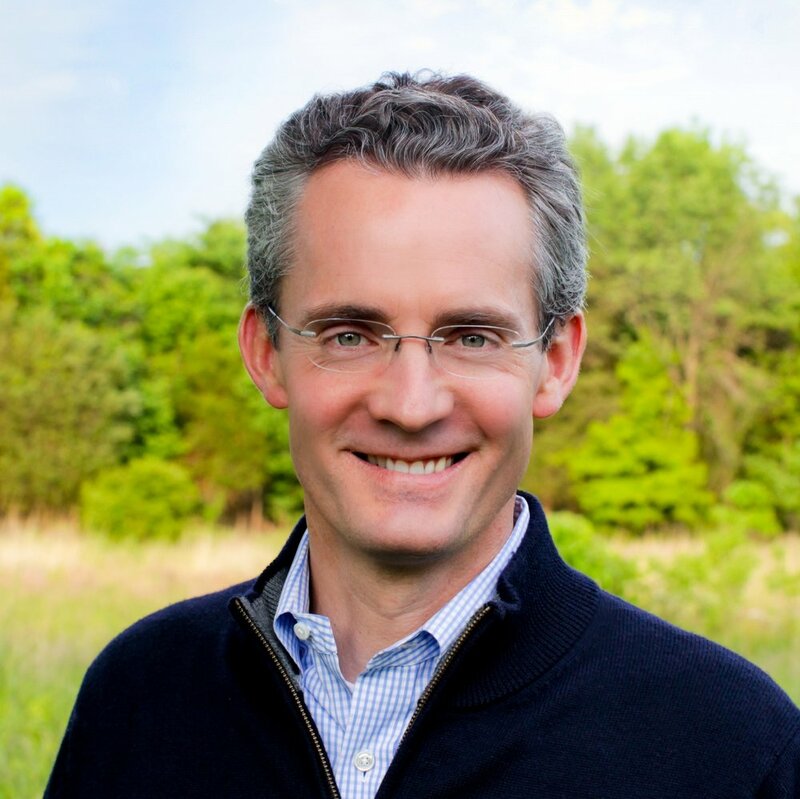 GREG BERTELSEN is Senior Vice President with the Climate Leadership Council. He oversees outreach to business constituencies, is responsible for some of the Council’s congressional engagement, and contributes to policy research and development. Prior to joining the Climate Leadership Council, Greg served as Senior Director, Energy and Resources Policy at the National Association of Manufacturers. He has worked with congressmen, high-ranking administration officials, and has served as an official advisor to the Environmental Protection Agency on environmental justice issues. Previously, Greg served as Manager and Regulatory Analyst, Environmental Markets & Policy at Siemens AG. MARC BRESLOW is the Policy and Research Director for Climate XChange. He has an extensive background developing policies to cut greenhouse gas emissions, focusing in recent years on carbon pollution pricing. Breslow has conducted studies forecasting the impacts of such pricing on households, industries, and GHG emissions, and has designed legislation to implement it for several states. Over 2005 to 2007, he was deeply involved in the development of the Regional Greenhouse Gas Initiative. Breslow formerly held two positions in Massachusetts state government: Director of Transportation & Buildings Policy with the Executive Office of Energy & Environmental Affairs, and Director of the Electric Power Division of the Department of Public Utilities. In 2010, he had a leading role in developing and writing the state’s Clean Energy and Climate Plan for 2020. 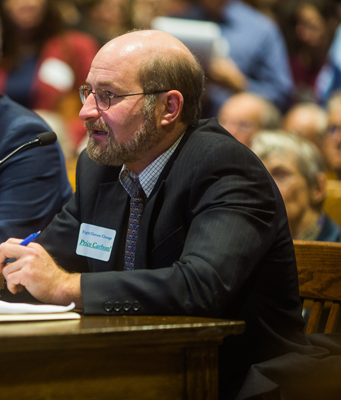 Before joining state government, Breslow was the founding Executive Director of the Massachusetts Climate Action Network. He has a Ph.D. in Economics from the University of Massachusetts-Amherst. DAVID C. BROWN is Senior Vice President, Federal Government Affairs and Public Policy for Exelon Corporation. David has been with Exelon, and its predecessor PECO Energy Company, since 1990. He serves as Exelon’s primary liaison with Congress and Federal agencies and works actively with national trade associations representing the electric, natural gas, and nuclear energy industries. During his time at Exelon, he has held a number of leadership positions with the American Gas Association, the Edison Electric Institute, and the Nuclear Energy Institute. Prior to joining Exelon, David served as Legislative Programs Director for the American Nuclear Energy Council. He is a member of the Board of Directors of the Public Affairs Council and as Treasurer of the St. Paul’s Episcopal Church Foundation. TRAMMELL S. CROW is the founder of EarthX (formerly known as Earth Day Texas), the largest annual exposition and forum showcasing the latest initiatives, discoveries, research, innovations, policies and corporate practices serving to re-shape the future. With a focus on inspiring environmental leadership across sectors and party lines, Crow serves on the board of directors for ConservAmerica and is a co-founder of Texas Business for Clean Air and Texans for Clean Water. He is also a long-term supporter of the Texas Conservation Alliance, the Nature Conservancy of Texas, Texans for Lawsuit Reform, Log Cabin Republicans and the League of Conservation Voters. His philanthropy benefits various nonprofit organizations that are active in family planning, education, the environment, community initiatives and political causes. Prior to his current endeavors, Mr. Crow held various other positions within the Crow family businesses. From 1986 to 1993, he served as CEO of Trammell Crow International, overseeing the Brussels International Trade Mart (largest in Europe) and developing additional trade marts in Asia. CONGRESSMAN CARLOS CURBELO entered public service in 2009 when he was named State Director for U.S. Senator George LeMieux and took responsibility for overseeing staff in seven offices throughout the state while also advising the Senator on Latin-American policy and Hispanic issues. Shortly after, Mr. Curbelo was appointed to the Miami-Dade Metropolitan Planning Organization (MPO), a group of community leaders tasked with prioritizing local transportation and infrastructure projects. In 2010, Mr. Curbelowas elected to the Miami-Dade County School Board, which oversees the fourth largest school district in the country at the time. Mr. Curbelo was elected to represent the people of Florida’s 26th Congressional District in 2014. During his first term, he worked with Republicans and Democrats to improve the quality of life for the people of South Florida. He was reelected in 2016 and serving on the prestigious House Committee on Ways and Means, which took the lead on tax reform. CHRISTINA DeCONCINI is WRI’s Director of Government Affairs. Christina is an attorney and advocate with demonstrated effectiveness in achieving policy change through litigation, designing and directing legislative strategies, forging diverse and effective coalitions, and framing and advancing issues for public support. At WRI Christina has focused primarily on overseeing WRI’s legislative work and strategy on climate change and energy issues, engagement with the US Administration on these issues and leads WRI’s Climate Impacts work. Christina speaks on these issues in a number of forums. Prior to joining WRI in September 2007, Christina spent 20 years advocating for the rights of immigrants and refugees, serving as the as the Director of Policy and Advocacy in several national organizations seeking to change federal immigration laws, provide representation to indigent immigrants, refugees and asylum seekers and improve conditions of detention for immigrants. Christina has written and spoken frequently on issues related to immigration and refugee policies, has taught immigration law, served on a number of boards and been recognized for her work in this field. Christina has a law degree from Northeastern University. RICHARD EIDLIN has worked at the intersection of business & public policy for 35 years. He has a played a key role in building the responsible and progressive business movement in America. He has championed the idea of the triple bottom line and corporate social responsibility. Richard is a co-founder of the American Sustainable Business Council and was Vice President for Policy & Campaigns, working on Capitol Hill, for the White House, federal agencies and state legislatures. He attended the U.N. Climate Summit in Paris in 2015 and organized a clean energy program for the "eco-right" at the 2016 Republican convention. From 1990 to 1994, Richard consulted to the U.N. Environment Programme and helped launch the U.N. Environmental Finance Initiative and the International Council of Environmental Initiatives. Richard worked in the solar energy industry from 1995-2005, advocating for legislative and regulatory changes and directing business development. He consulted for and directed training seminars for Boston College’s Center for Corporate Citizenship and worked as a senior policy analyst for the New York City government. ALEX FLINT is the executive director of the Alliance for Market Solutions. He previously served as staff director of the U.S. Senate Committee on Energy and Natural Resources, Senior Vice President of Governmental Affairs at the Nuclear Energy Institute, and as a member of President Trump’s transition team. GEORGE FRAMPTON is the co-founder and CEO of Partnership for Responsible Growth, which advocates for free-market measures to combat climate change. George was Chairman of the White House Council on Environmental Quality and Assistant Secretary of the Interior for Fish, Wildlife, and Parks under President Clinton. Subsequently, he was a partner at Boies, Schiller & Flexner; and Senior Counsel at Coving & Burling in their Clean Energy Group. He is also a former president of the Wilderness Society, was Deputy Director of the Nuclear Regulatory Commission’s Special Inquiry into The Three Mile Island Accident, and an Assistant Special Prosecutor on the Watergate Special Prosecution Force. He graduated from Yale College, has an M.Sc. (Econ.) in Advanced Economic Theory (with distinction) from the London School of Economics, and a J.D. from Harvard Law School where he was Managing Editor of the Harvard Law Review. He served as Law Clerk to Hon. Harry A Blackman, U.S. Supreme Court, OT 1970. MICHAEL GREEN is the Executive Director of the Climate XChange and an award-winning advocate for climate policy and environmental action. Since 2012, he has served as a representative to the United Nations focusing on international climate science and policy. Recognized as a "Champion of Change" by President Obama in 2016, Michael was honored for his focus on climate change as an equity issue. He has played strategic roles in several of the national and global campaigns dedicated to fighting climate change. STEVE HAMS is Director of Engagement at Business Climate Leaders. After 30 years of executive human resources and general management experience in high tech, medical technology, education, sports and nonprofit fields, Steve has consulted and volunteered for the last seven years in the areas of climate change and education. He now spends the majority of his professional time and energy volunteering with Citizens' Climate Lobby, both as a co-chapter lead for Silicon Valley North and as Engagement Director for our Business Climate Leaders action team. 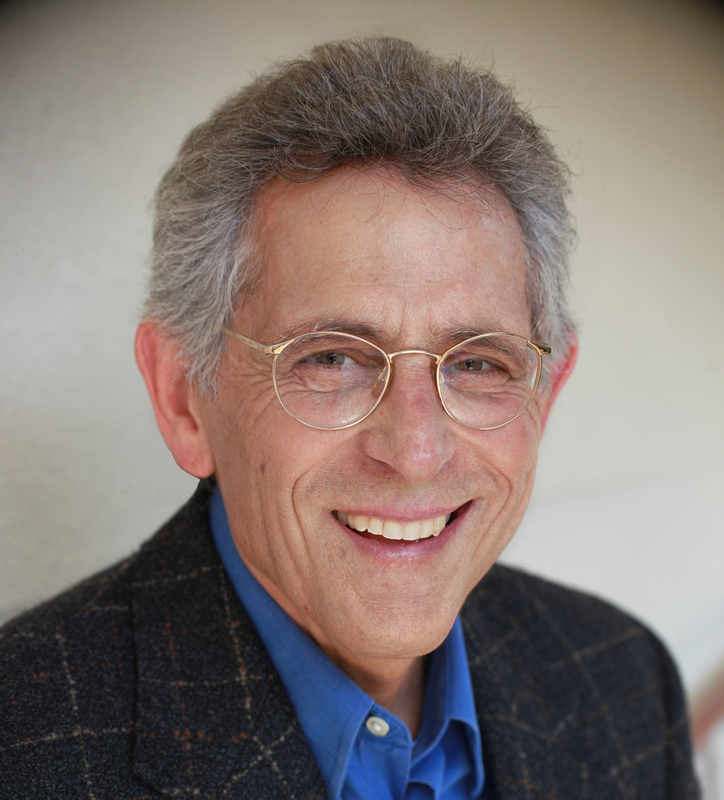 HAROLD HEDELMAN is Founder & Director of Engagement of Business Climate Leaders. In the '80s, Harold followed graduate school at Cornell with a stint programming early computer games. He soon began following entrepreneurial instincts and started and ran a nonprofit school to educate artists and designers about the exploding worlds of computer animation, desktop publishing and the Internet. In the new century, Harold turned his attention to spiritual and environmental fundraising and program development. Most recently, he designed and ran a pilot program for the Natural Resources Defense Council, testing whether their membership in six Midwestern states could effectively support the Clean Power Plan using the grassroots organizing methods of Citizens' Climate Lobby. DAVID LEVINE is the President and Co-founder of the American Sustainable Business Council. He has worked as a social entrepreneur for over 30 years focusing on the development of whole systems solutions for a more sustainable society through building strategic partnerships and broad stakeholder initiatives. Previously, he was the Founding Director of Continuing Education & Public Programs at The Graduate Center, City University of New York. From 1984 to 1997, David was Founder and executive director of the Learning Alliance, an independent popular education organization. MO McBROOM is the Director of Government Relations for the Washington Chapter of The Nature Conservancy (TNC). She oversees a team of lobbyists that work on state and federal policy and power-building. Mo is currently leading TNC’s efforts to pass a voter initiative that will put a price on carbon in Washington State. Prior to joining the conservation movement, Mo represented corporations and small businesses as an attorney at the law firm of Perkins Coie, and was the law clerk to the Chief Justice of the Washington State Supreme Court. 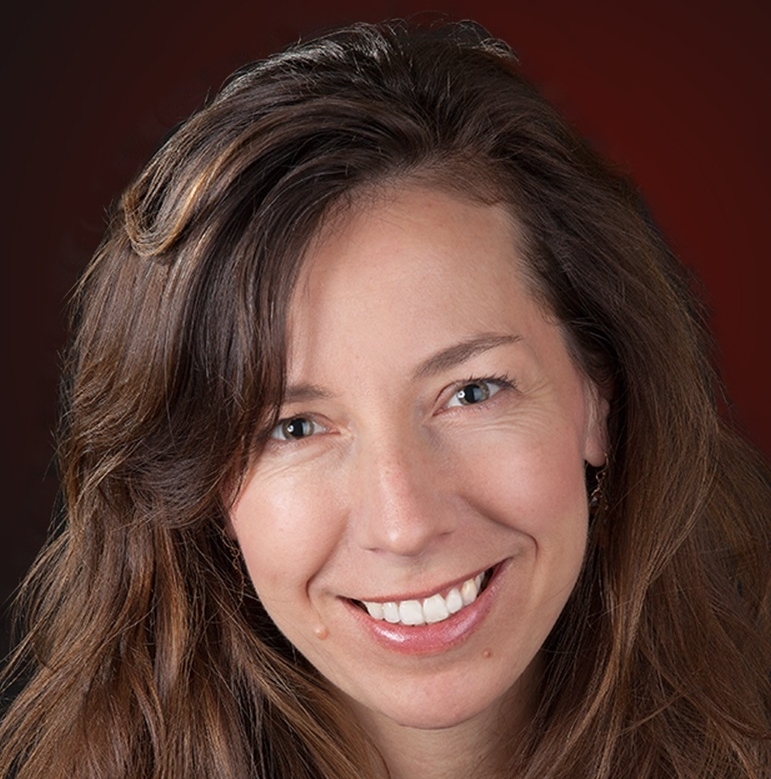 MARY ELLEN MIKA is Director of Global Compliance & Sustainability for Steelcase Inc., the global leader in the office furniture industry. She leads a team responsible for the company’s energy, renewable energy, and climate change response strategies including the development of science-based targets for greenhouse gas emissions; managing compliance with environmental regulatory requirements for products, facilities, and operations including implementation of the company’s ISO 14001 environmental management system and addressing environmental due diligence for potential acquisitions; pursuing product certifications for sustainability and indoor air quality; tracking and reporting waste, water, energy, recycling and composting efforts and setting goals for continuous improvement. Mary Ellen is a LEED-accredited professional and recently served on the Materials and Resources Technical Advisory Group for U.S. Green Building Council. She has a B.S. in Biochemistry, an M.A. in Counseling Psychology, and over thirty years of experience in environmental consulting and industry. 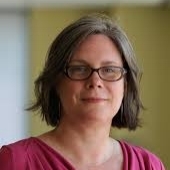 HELEN MOUNTFORD is the Director of Economics at the World Resources Institute (WRI) and the Program Director for the New Climate Economy initiative (NCE). The NCE is an international initiative that provides independent and authoritative evidence on the relationship between economic performance and reducing the risk of dangerous climate change. At WRI, she leads a team of economists to tackle major global challenges and in support of its international offices. Previously, Helen was Deputy Director of Environment at the OECD, having worked in the institution for over 16 years. JOSIAH NEELEY is senior fellow, energy policy director and Texas director for the R Street Institute. He leads the institute’s energy program, which works to advance a well-defined and limited role for government in shaping decisions about infrastructure, wholesale and retail electricity, research and development, fuel choice and diversity, and climate adaptation and mitigation. He also leads the institute’s work on legislation and issues affecting Texas. CHRISTINA NICHOLSON is the Director of Environmental Impact at Gap Inc. and plays a key role in driving the organizations long range environmental sustainability strategy. She leads a global team responsible for delivering the organization’s 2020 environmental impact reduction goals including those for water, chemicals, GHG emissions and waste. 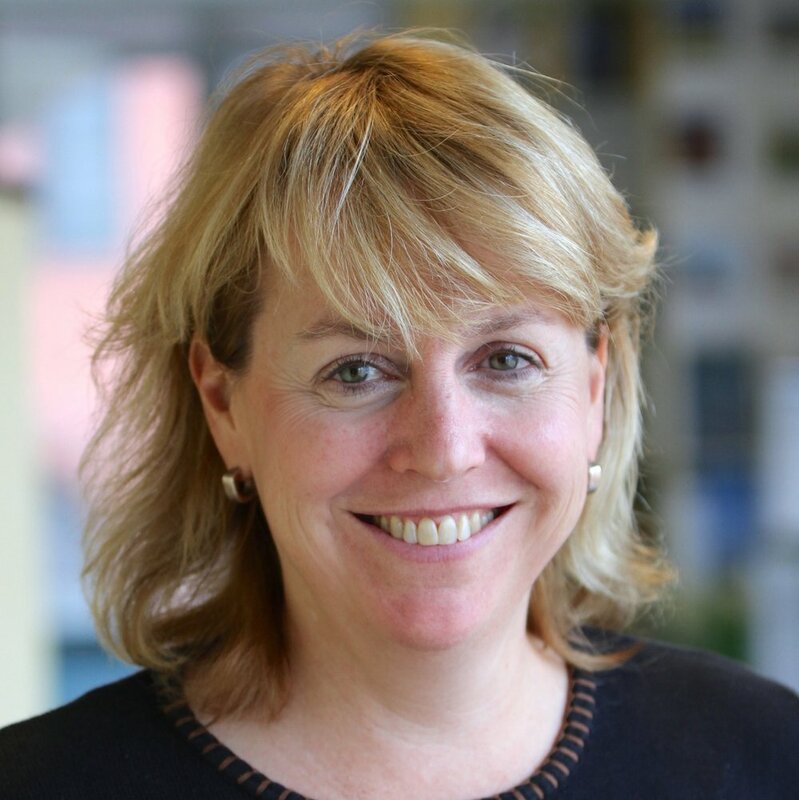 As the Director of Environmental Impact, Christina also spearhead’s Gap Inc.’s work with external stakeholders to influence and shape national climate policy. Before joining Gap Inc., Christina was the Director of Member Value at the Sustainable Apparel Coalition (SAC). The SAC is a non-profit membership organization working with major global companies to improve their social and environmental supply chain performance. Prior to the SAC, Christina launched and led the sustainability department at Williams-Sonoma, Inc. as their Director of Sustainable Development. KIERA O’BRIEN is the Vice President of Students for Carbon Dividends, a student-led movement that aims to catapult a free market climate solution—specifically the Baker-Shultz Carbon Dividends plan—into the national spotlight and open the door to bipartisan climate action. Kiera is a Class of 2020 student at Harvard University, studying Government. She is a member of the Harvard Political Review and the Harvard Political Union and serves as President of the Harvard Republican Club. MARK REYNOLDS is Executive Director of the Citizens’ Climate Lobby. During his years as a private sector trainer and consultant, Mark worked to maximize personal and organizational effectiveness in a variety of fields. Today, he uses those skills to empower ordinary citizens to educate influential stakeholders about the benefits of national climate solutions. He oversees a training curriculum that reaches tens of thousands of supporters every year, has been a frequent guest on TV and radio shows, and has written op-eds on climate solutions for 85 print journals. MITCH ROFSKY is President of Better World Club, Inc. His experience represents nearly two decades of leading businesses that market environmental products and nonprofit organizations that support environmental stewardship. Prior to the merger, Mitch was President of American Consumer Insurance Agency, Inc. (ACI), a property and casualty insurance broker. Prior to this, he was President of Working Assets Capital Management, which managed one of the leading socially screened mutual fund families in the nation. Mitch formerly was an attorney for Ralph Nader's Public Citizen, and was also the first chair of Business for Social Responsibility. He received a JD from the University of California at Los Angeles and a BS in Economics from the Wharton School of Business, University of Pennsylvania. SENATOR BRIAN SCHATZ is Hawai‘i’s senior United States Senator. He serves on four Senate Committees: Appropriations; Banking, Housing and Urban Affairs; Commerce, Science, and Transportation; and Indian Affairs. Senator Schatz is a leader in the US Senate on clean energy and co-author of the American Opportunity Carbon Fee Act, introduced in 2017. Prior to being elected to the U.S. Senate in 2012, Brian was Lieutenant Governor of Hawai‘I and led the State’s clean energy efforts. From 1998 to 2006, he was a member of the State House of Representatives. NICK SCHULZ is Director of Stakeholder Relations for ExxonMobil, Public and Government Affairs. Prior to that he was Manager for Public Policy and Issue Advocacy. He joined the company in 2013 and works at its Irving, TX headquarters. Before joining ExxonMobil, Schulz was the DeWitt Wallace Fellow at the American Enterprise Institute in Washington, D.C. where he conducted research and writing on the links between industrial technology, entrepreneurship, and economic growth and development. He is the author of the books, From Poverty to Prosperity: Intangible Assets, Hidden Liabilities, and the Lasting Triumph Over Scarcity and Invisible Wealth: the Hidden Story of How Markets Work. He lives in Dallas, TX. MICHELE SIZEMORE is the Senior Vice President of Product Operations for Athleta and she oversees the Gap Inc. Product Innovation engine, Aro. Michele is committed to leading and delivering premium performance and lifestyle apparel our customers will love. She is an executive leader with 28+ years of creating and optimizing infrastructure, driving business results and developing teams. 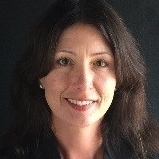 With over 20+ years of service, Michele is a Gap Inc seasoned veteran that has held senior positions in Gap Brand, Old Navy and Banana Republic - she is a passionate advocate for innovation, and her expertise spans a range of product functions, category sourcing, domestic and international businesses and channels. CAMILA THORNDIKE, originally from Oregon, is a lifelong activist with a passion for climate protection. In D.C., she serves at the D.C. Campaign Director for the Chesapeake Climate Action Network (CCAN), spearheading an 85-member coalition for carbon pricing and other strong climate policies. She is the co-founder of Our Climate and the national Put a Price on It campaign. After graduating from Whitman College in Washington State, Camila worked for the U.S. Institute for Environmental Conflict Resolution; led outreach for an Arizonan urban planning campaign; and spearheaded engagement for COAL, a musical theater project on fossil fuels. She's also worked with D.C .youth on energy efficiency in low-income households, as part of the Mayor’s Green Summer Jobs Program. Camila is a member of the Young Climate Leaders Network, and recipient of the D.C. Environmental Network 2018 Award. ERIK WOHLGEMUTH is COO of Future 500 where he oversees the organization’s strategic direction. He works across industries and sectors aligning corporations and their stakeholders on social and environmental issues, serving as trusted counsel to executives at major companies, NGOs, and foundations. Erik is also a West Coast Advisory Board member for Yale School of Management (SOM), and a Pacific Northwest Chapter Leader for Environmental Entrepreneurs (E2). He holds a joint masters degree from Yale SOM and School of Forestry & Environmental Studies (FES).